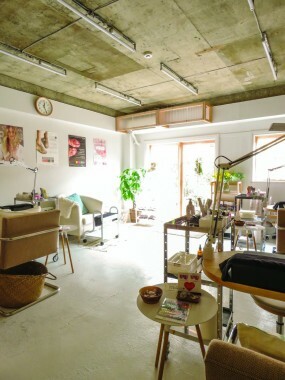 Located in the trendy neighborhood of Yoyogi-Uehara is 2 By Max Beauty, a hip nail salon with a comfortable and cozy atmosphere. You’ll find plenty of natural light there, and vases of fresh flowers adorning the walls, making it easy to slip into relaxation mode. A large range of treatment options is available, with both gel and shellac nail polish on offer. For those looking for a unique, one-of-a-kind design, 2 By Max Beauty recommends the use of gel nail polish. For those looking for simple, longer-lasting nail polish, the salon recommends shellac. As well as nail treatments, 2 By Max Beauty also offers hand and foot care treatments. For both relaxation and nail art, visit 2 By Max Beauty. Otsuka Bldg. 301, 1-33-16 Uehara, Shibuya-ku. Yoyogi-Uehara. Tel: 03-6407-9959. Mon-Fri 9am-9pm, Sat, Sun & Hol 10am-7pm. The average human body is made up of 50 to 65 percent water, and for the body to function healthily and efficiently, it is essential to keep body fluids free of murk and toxins. At A.mstic, you can cleanse your body of pollutants so you can feel healthy and beautiful — inside and out. 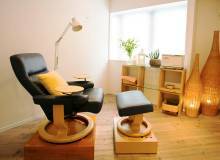 Conveniently located a short walking distance from Meguro Station, A.mstic specializes in Nami Shihou, a method of lymphatic drainage massage that originated in Japan. The method focuses on clearing the body of waste through applying gentle pressure on lymph nodes, which leaves the body feeling refreshed and relaxed, similar to a post-onsen buzz. 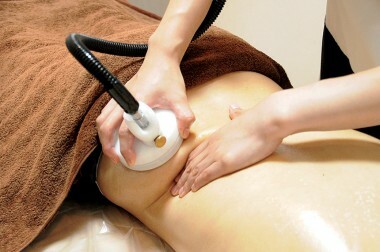 Visit A.mstic today to experience the wonders of Nami Shihou and rid your body of impurities. 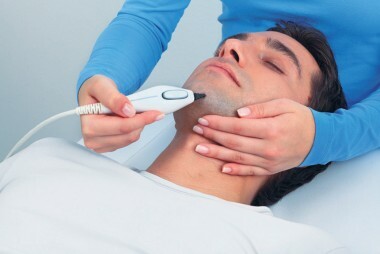 30-minute skull care treatment: ¥3,000 (10 percent off). NT Bldg. 9F, 1-4-11 Meguro, Meguro-ku. Meguro. Tel: 090-2130-2749 ( English) 03-3779-5220 (Japanese). 11am-8pm. We all want to turn back the years, but we want to do it naturally. Elana Jade has just the key to do that with Ilcsi Organic Skin Care, a method favored by celebrities such as Nicole Kidman, Gwyneth Paltrow, and Kate Hudson. The philosophy of Ilcsi—a brand born in Hungary—is “simple and natural,” and the treatment provides the benefits of a chemical peel without the potential long- or short-term chemical damage. In addition to organic facials, Elana Jade also specializes in waxing, massages, nails and more. They even have specific treatments for men, brides, and moms-to-be. For an escape from the chaos of the city, Elana Jade is the perfect oasis. 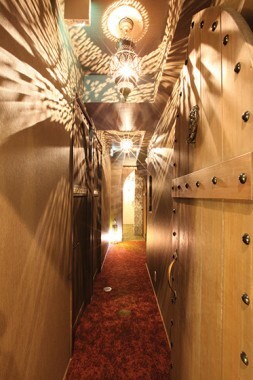 Bring a copy of Metropolis to receive an Organic Peeling Facial for only ¥11,000 (¥3,000 off). Valid until the end of September 2017; conditions apply. 4F NS Azabu Juban Building, 3-6-2 Azabu-Juban, Minato-Ku. Azabu-Juban. 03-6453-9319. Mon-Fri 10am-9pm, Sat-Sun 10am-7pm. We all lead busy lives, and inevitably, the bustle of city living leaves us stressed out and rundown. And when we feel this way, it’s important to take a moment to press the reset button, listen to our bodies, and find inner peace. At Hammam & Morocco Spa by Fatima, you’ll find an oasis of tranquility where you can indulge in relaxation and revitalization. Qualified acupuncturists and estheticians provide a high-quality service that will leave you feeling refreshed and replenished. Conveniently located in Harajuku, Fatima is the ultimate urban refuge from everyday stressors. KI-438 Bldg. 1F, 1-9-8 Jingumae, Shibuya-ku. Harajuku/Meiji Jingu-mae. Tel: 03-6447-0432. 1pm-9pm Closed Tue. English-fluent Kenji Suzuki is one of the many talented stylists who have come together at the Bondz Salon in Azabu-Jūban, where the relaxed, boutique-like atmosphere makes you feel right at home. Having held high-profile positions in the international beauty industry for more than twenty years, Kenji spent most of those years in New York City. In fact, he still takes care of his stylish clientele there on periodic visits to the U.S. Since 2013, he has shared with his Tokyo clients the styles and techniques that he learned and honed in the Big Apple, offering color and perm treatments as well as specializing in dry haircutting for men and women. Whether a patron has a specific look in mind or wants to try something new, Kenji works closely with them to ensure they leave with a style that follows trends, yet still brings out their own personal beauty. “For your hairstyle, for your lifestyle” is his motto. FILM-10 Bldg 4F, 1-8-13 Azabu-juban, Minato-ku. Azabu-Juban. Tel: 080-1307-4973. Tue-Sun 10am-9pm, closed Mon & 2nd Tue. Summer is finally here, and that means it’s time to do a little “manscaping” to look your best for all of the wonderful outdoor activities the season offers. 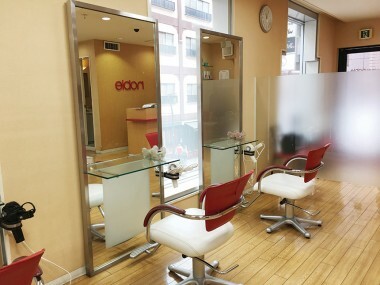 MDSA Hair Removal Salon, just a two-minute walk from Azabu-juban Station, offers secluded treatment rooms, English-speaking staff, a reservation-only policy, and an atmosphere that caters to both men and women, so it’s not all feminine. The tools and procedures used to remove unwanted hair from backs, shoulders, bellies, and those “mankini” lines come direct from the U.S. Head in for a free consultation and a localized hair-removal trial to see for yourself how it works. You’ll be impressed by the efficiency, minimal discomfort, and good value. Rooms can service two people, so bring your friend or girlfriend along to also benefit from MDSA’s service while they hold your hand—if you’re man enough! 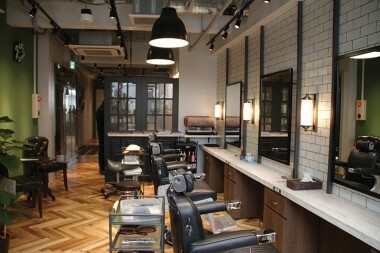 2F Ishihara Bldg, 3-7-1 Azabu-juban, Minato-ku. Azabu-juban. Tel: 03-6435-1276. Mon-Fri noon-11:30pm, Sat-Sun & hols 10am-11:30pm. If you want to give your skin a boost so you can look your very best, visit Muse Dermatology & Pain Clinic. Conveniently located a four-minute walk from Musashi Urawa Station on the Musashino Line and JR Saikyo Line, this clinic offers many options for both cosmetic and dermatological treatments. The professional staff can consult and guide you through procedures such as advanced laser treatment, infusion therapy and injection-based anti-aging treatment to help you achieve your desired aesthetic. In addition, Muse also specializes in medical-grade cosmetic tattoos for eyebrows and eye lines. Anesthesia is used so the procedure is painless, and the medical-grade equipment is sanitized to ensure safety and cleanliness. Book an appointment now to talk to their friendly staff and find the perfect treatment for you and your skin. 7-2-1 Bessho, Minami-ku, Saitama-shi. Musashi Urawa. Tel: 048-866-4112. 9:30am-1pm, 3pm-7pm (closed Thu & Sun). Getting old is a fact of life. And it’s no secret that as we get older, it becomes increasingly harder to maintain a youthful appearance. But our bodies don’t necessarily have to reflect our age; if we give ourselves the attention and care we truly deserve, we can feel and look young for a very long time. At Salon Amour, you can relax and unwind and let the professionals take care of you. Salon Amour uses technology at the forefront of cellulite treatment that can help get rid of stubborn cellulite, instantly making your body look smoother and rejuvenated. Salon Amour also specializes in stem cell facials, which is effective for a host of skin conditions, including acne, skin spots and wrinkles. Visit Salon Amour now for tangible results — a younger you awaits. Paltenon Jiyugaoka 203, 6-29-6 Okusawa, Setagaya-ku. Jiyugaoka. With over 40 years of experience, Salon de Noble has established itself as the premier hair salon in the Roppongi area, serving both the foreign community and local residents. Specializing in a mix of older styles and cutting-edge fashion, the salon can help you achieve the look you’ve always desired. The experienced staff at Salon de Noble uses the latest techniques in cutting, perming, coloring and hair setting, and help customers find the right look to suit their personality. All you have to do is sit back and relax, and the friendly staff will take care of the rest. Make a booking today with Salon de Noble for top-quality treatment and styling. Gordy Bldg. 2F, 6-8-8 Roppongi, Minato-ku. 5-17-4-2F Hiroo, Shibuya-ku. Hiroo. 03-6447-7414. Mon & Wed-Fri 11am–9pm, Sat 10am–9pm, Sun & hols 10am–7pm. B1 Sun Beauty Harajuku, 3-25-6 Jingumae, Shibuya-ku. Harajuku or Meiji-jingumae. 03-3405-1188. Tue-Fri 11am–9pm, Sat 10am–9pm, Sun & hols 10am–8pm.